The countdown is on! 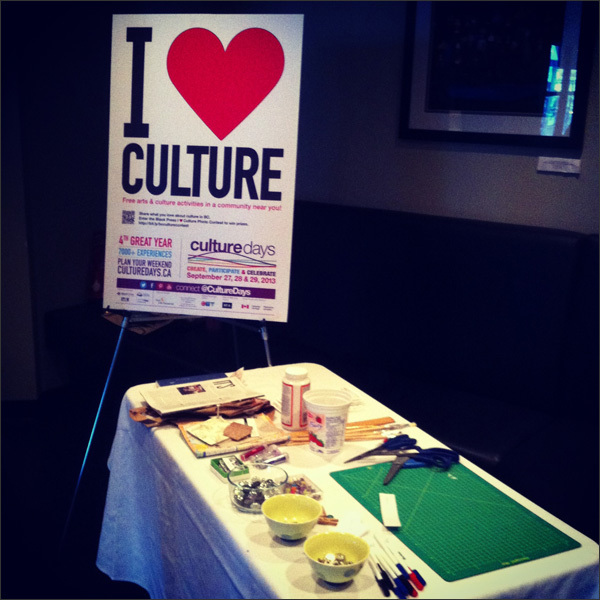 Only a couple of weeks until the Culture Days kick off. And there's so much to do! 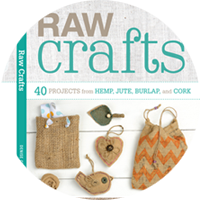 But first was finishing up the prep for the media launch and my upcycling table. 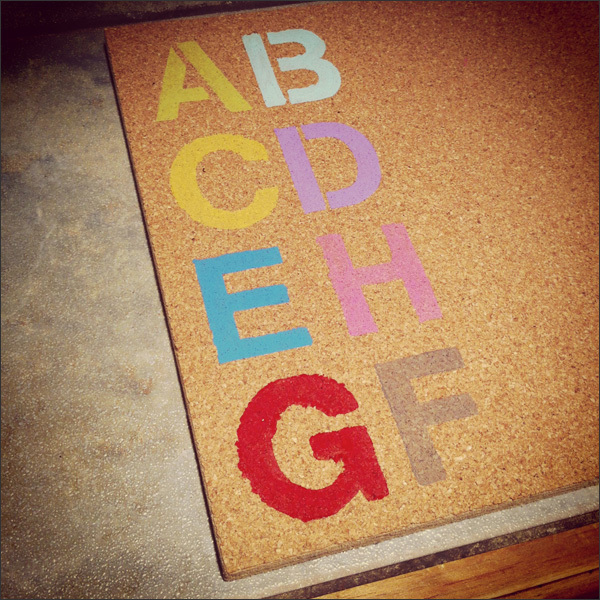 Here's my test - the 'G' ended up being a bit runny but otherwise the stenciling was easy peasy. 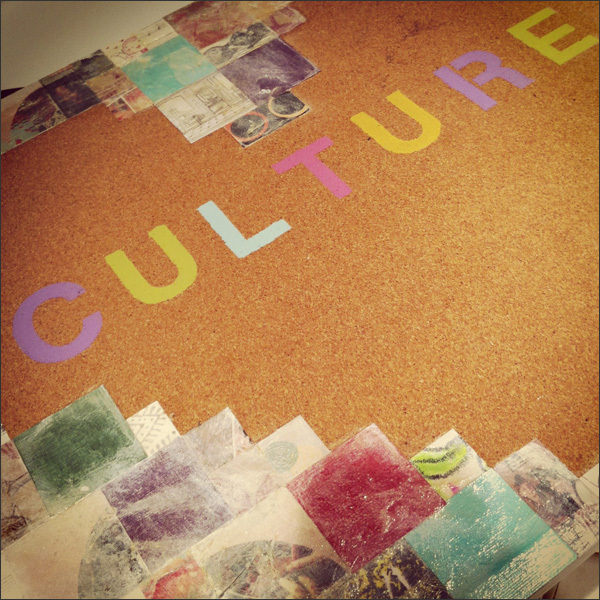 Here's my final cork board with 'culture' stenciled on it. 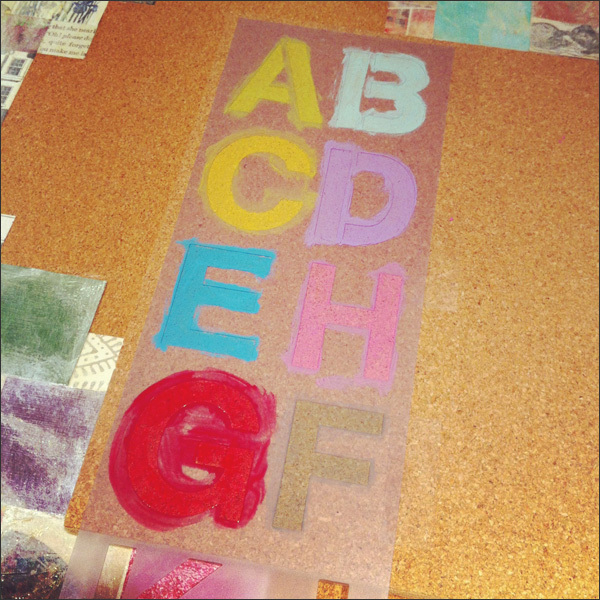 So my mod podge was done, stenciling was done and my handmade push pins were ready to go! I got my upcycling table set up. 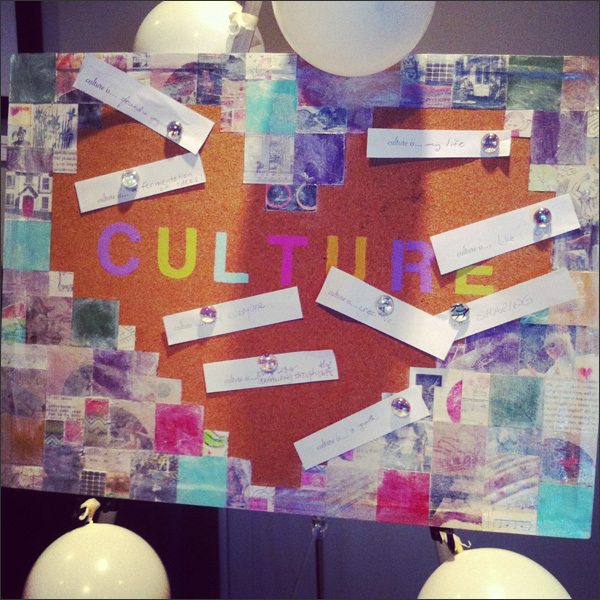 I wanted people to pin their ideas of what culture is to the board. I was even prepared for making more push pins or fridge magnets if anyone wanted to make stuff with me. I had everything good to go! I met a bunch of great people at the media launch. Unfortunately I didn't get many photos but man what a fabulous experience. 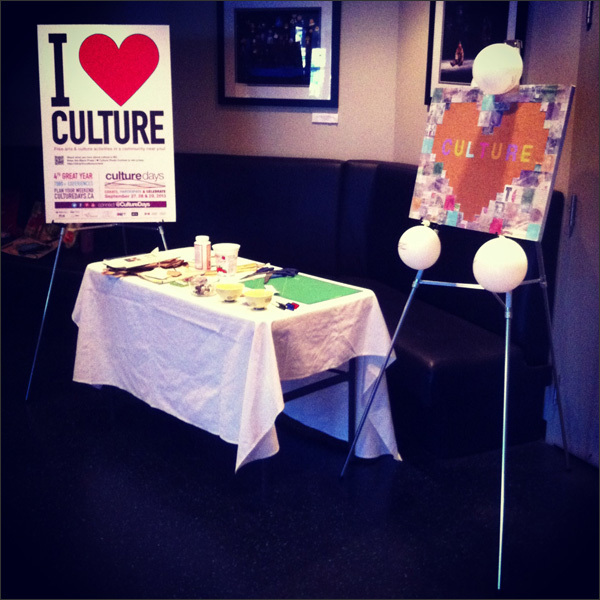 I am so grateful to Culture Days for everything that has happened while being the BC Ambassador. It just gets better and better! 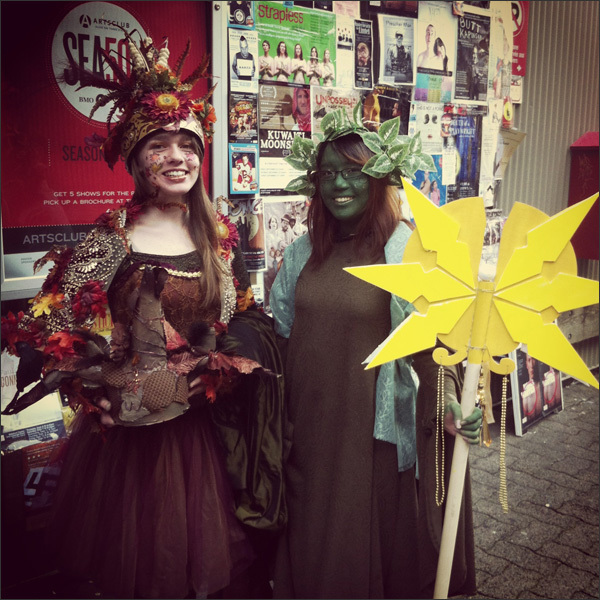 Here's a photo partway through the event with a few ideas pinned to the board. Yay! And the promos have begun... 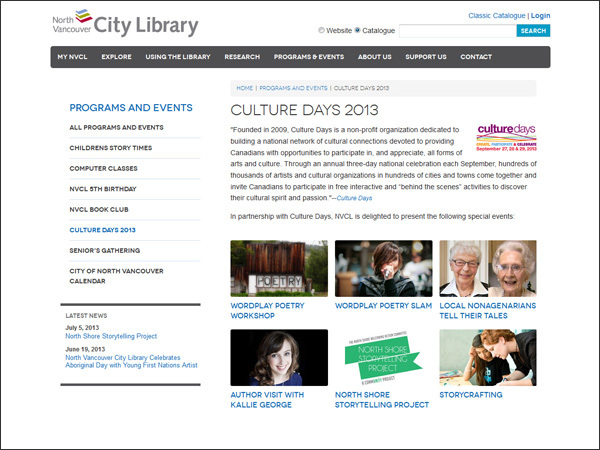 Here's the North Vancouver City Library's list of events over the Culture Days weekend. 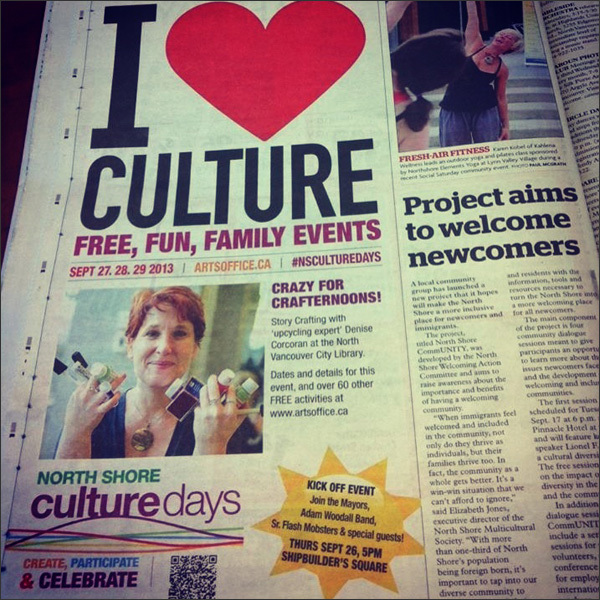 Then this came out yesterday - a half page ad in the North Shore News... Whose crazy for Crafternoons? Hilarious! Tonight I'm taking a breather... Sort of. I have to write up a couple of class descriptions for a local municipality. 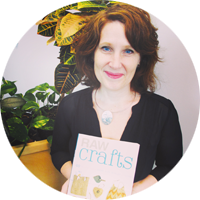 Yup I may be teaching upcycling classes in the spring. 2013 is such a rockin' year full of so much goodness. I am one lucky girl!